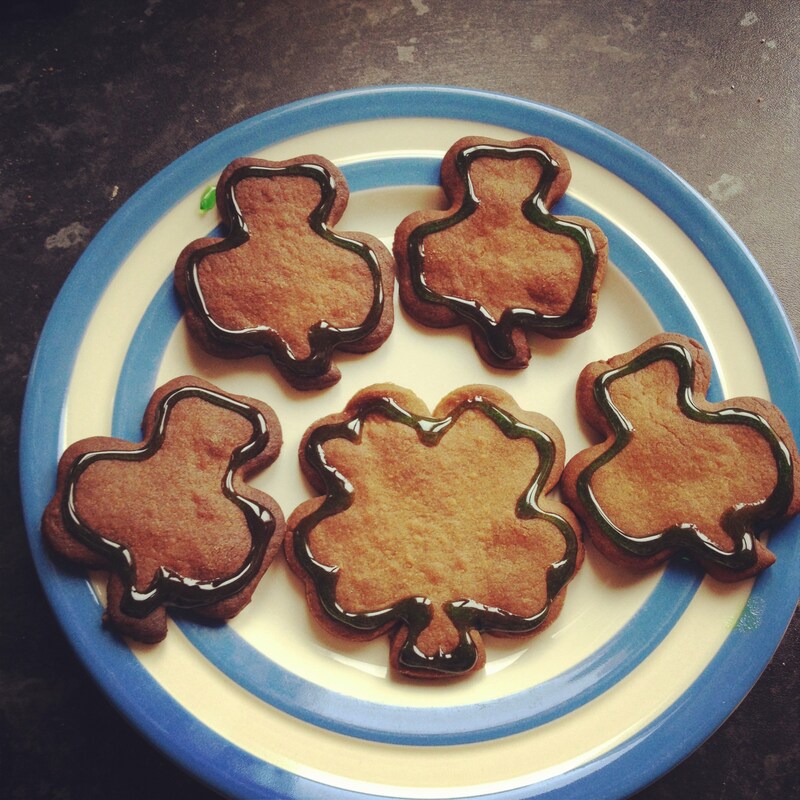 To celebrate St Patrick’s Day we made some four-leafed clover biscuits and decorated them with a simple line of green icing. I always know we’ve made something that looks interesting when I see my son’s arm reaching up to grab a biscuit from the plate when he thinks I’m not looking. We tried a new gingerbread dough for these biscuits – Gingerbread cookie dough from Cake & Biscuits. This was really cheap and it showed, difficult to roll without crumbling, it cut badly, tearing every time I tried to lift the shapes from the floured board and tasted awful when cooked. Fun for your kids to play with but I just wouldn’t bring out the biscuits for tea with your family! Gingerbread cookie dough from Cake & Biscuits contains no artificial colours, flavours or hydrogenated fat. The tub contains enough dough to make 16 biscuits (we didn’t find this) and also contains a gingerbread man shaped cutter and currants to decorate your gingerbread men. i love gingerbread cookies and the picture is lovely, the best thing is that it does not contain artificial colours.